This is digital era and you cannot stay in competition, if you do not adopt to the latest trends in the industry. No matter what is the nature of your business, digitization can help it move one step ahead of your competitors. Remember, in this digital age where almost everything is available in just a few clicks or taps, you cannot afford to continue operating in the traditional style. Digitization is the key to success in today’s highly competitive world. To stay ahead of your competitors, it is important that you keep up with the latest business and industry trends. By digitizing your business, you will only enhance your possibilities of growth in your respective industry. Remember, digitized organizations are among the most successful in the industry today. 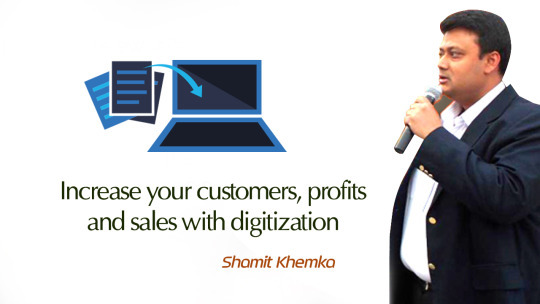 In other words; your business will achieve greater heights of success, if you digitize it!